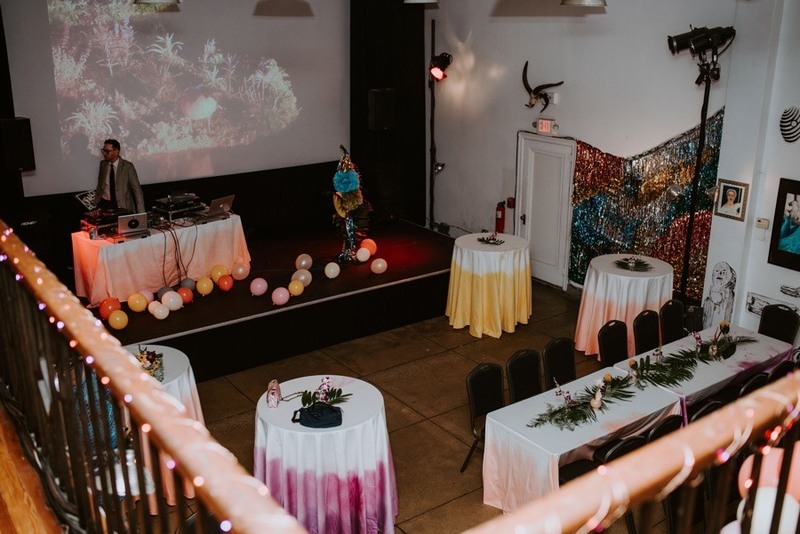 Their "tropical prom" themed reception was two days later at PhilaMOCA. 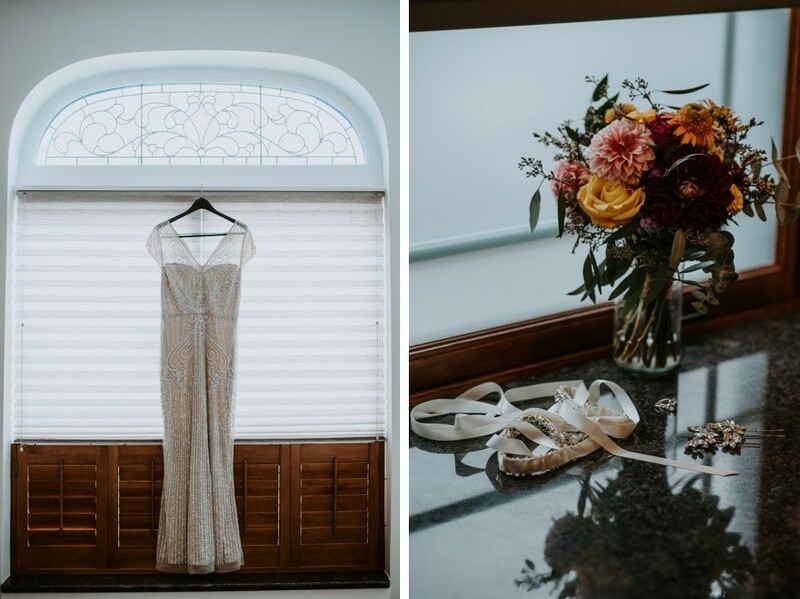 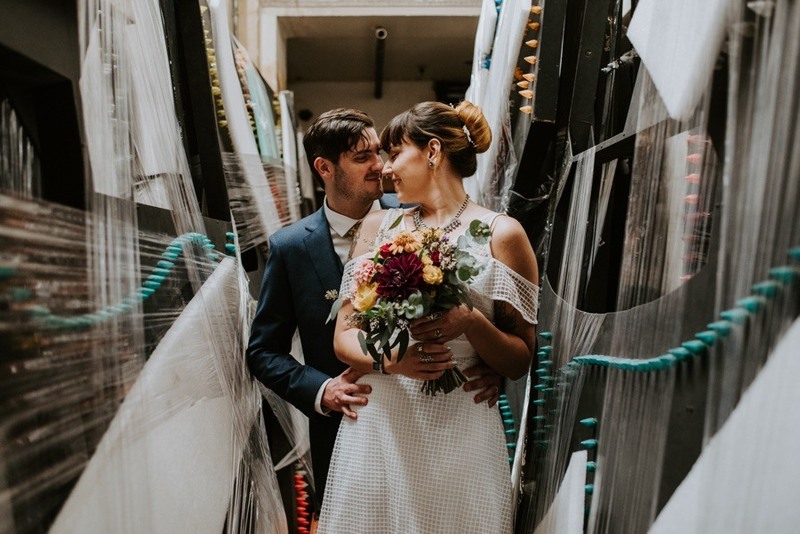 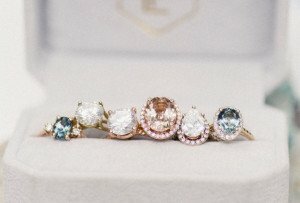 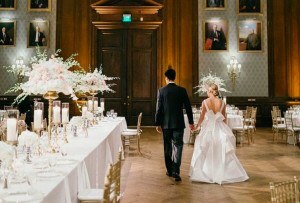 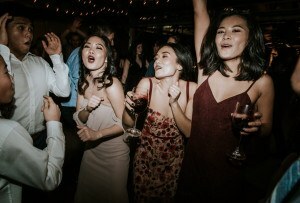 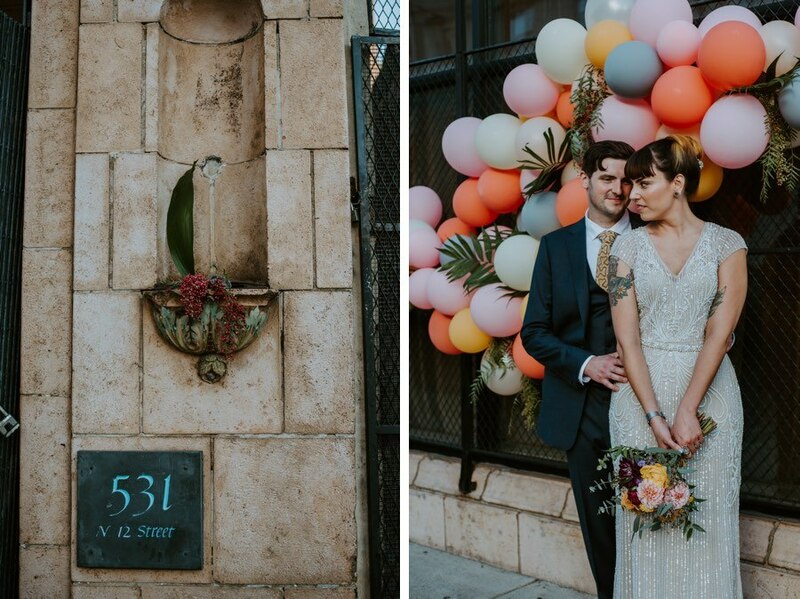 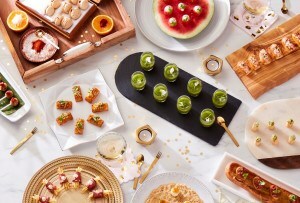 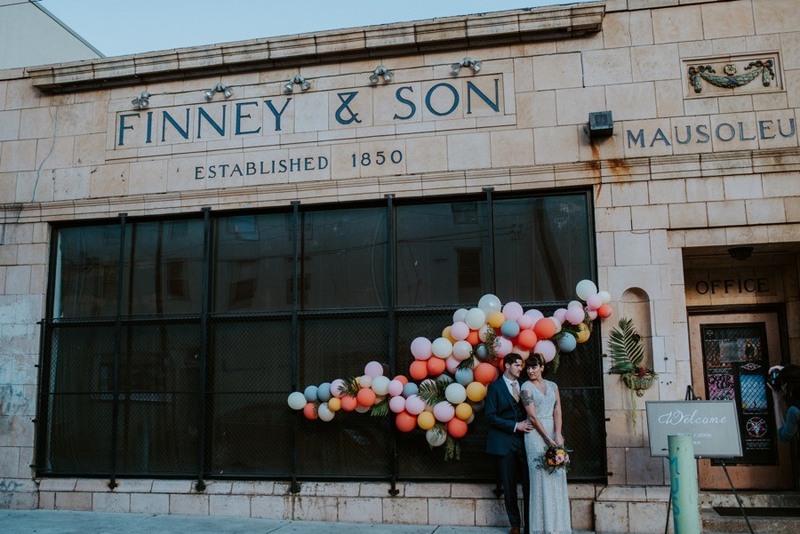 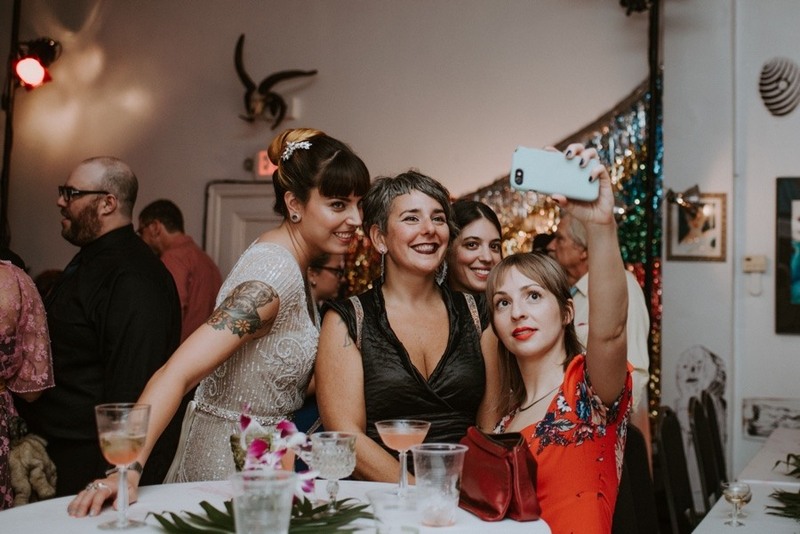 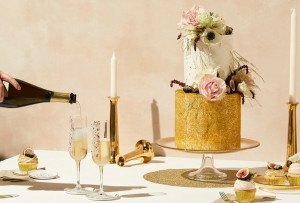 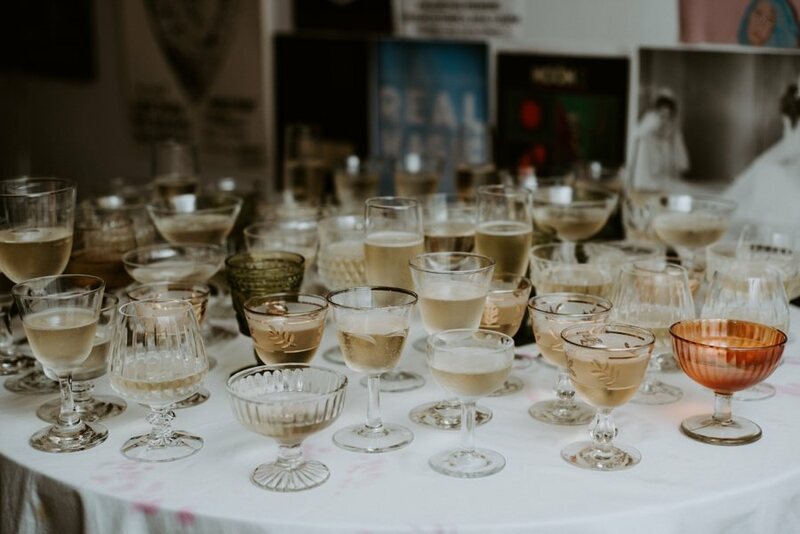 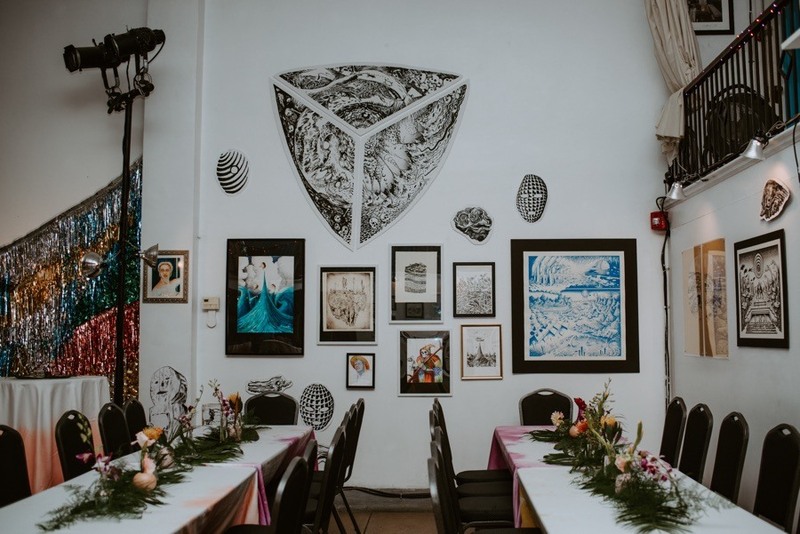 By Sarah Zlotnick·	 4/1/2019, 8:00 a.m.
Philly is filled with unique wedding ceremony spots and reception venues, so we’re always delighted to uncover one we haven’t thought of yet. 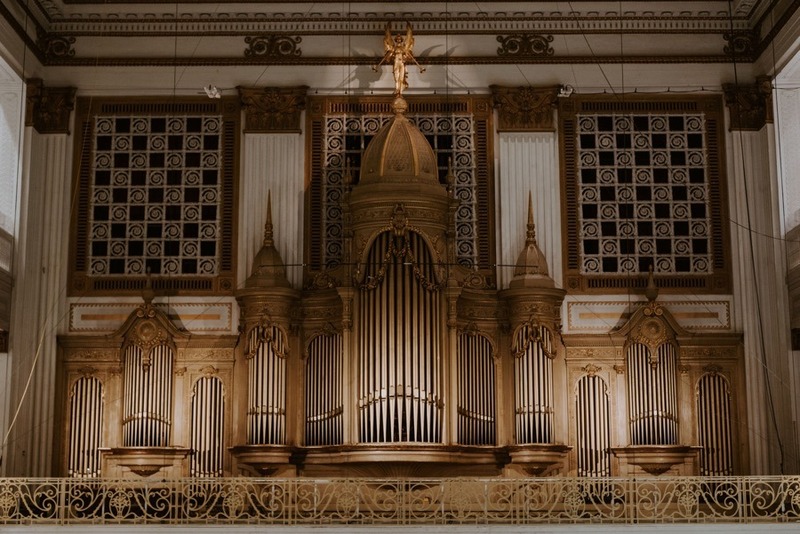 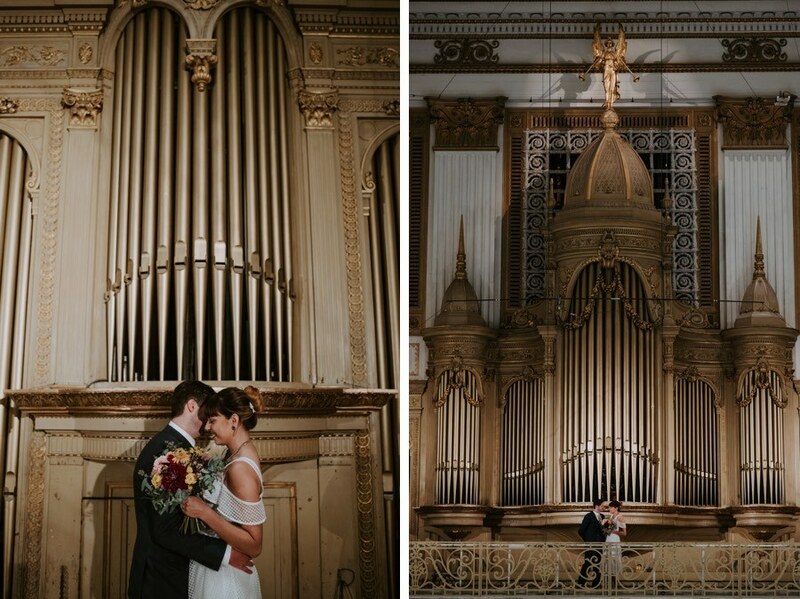 In the case of Emily Eichelberger and John Pyle, it’s actually two: the Wanamaker Grand Court Organ and the PhilaMOCA performance venue. 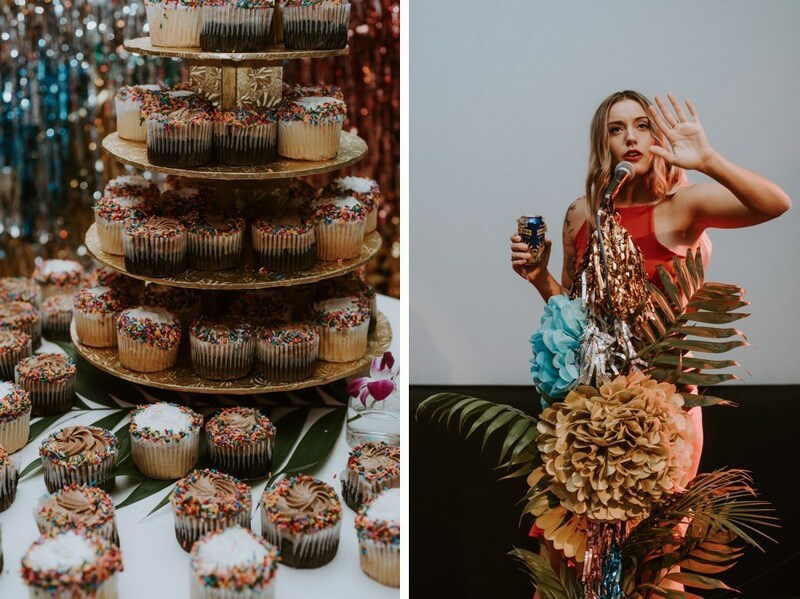 See the fun for yourself in the photos below by Iris and Echo. 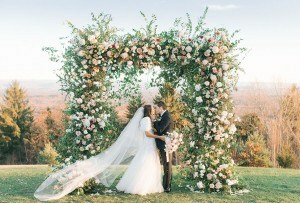 Four years later, the couple headed to the Poconos for a camping trip. 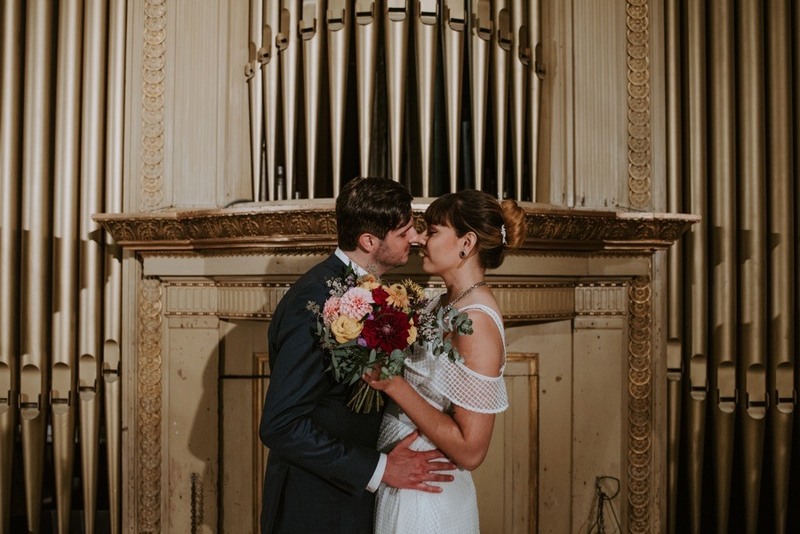 Not too far outside of Jim Thorpe, as they hiked to the ruins of a mansion that have since become a butterfly garden, John popped the question with a vintage sterling silver engagement band. 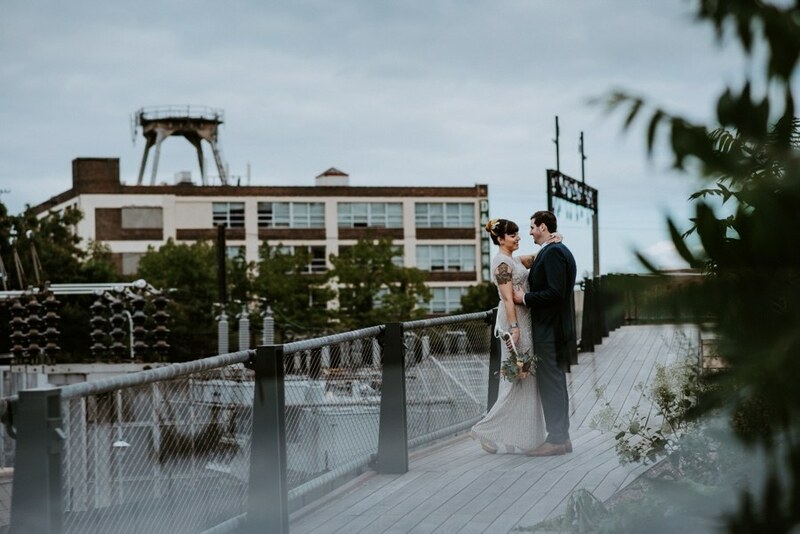 Emily said yes, and they celebrated with ice cream and another hike along Glen Onoko Falls. 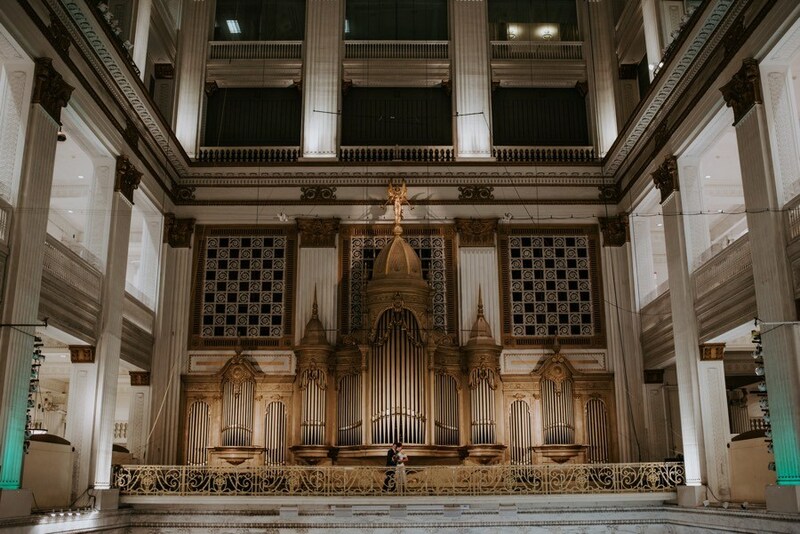 On Thursday, September 13th, the music lovers picked a unique — and uniquely Philadelphian — location for their wedding ceremony: the historic Wanamaker Grand Court Organ at Macy’s in Center City. 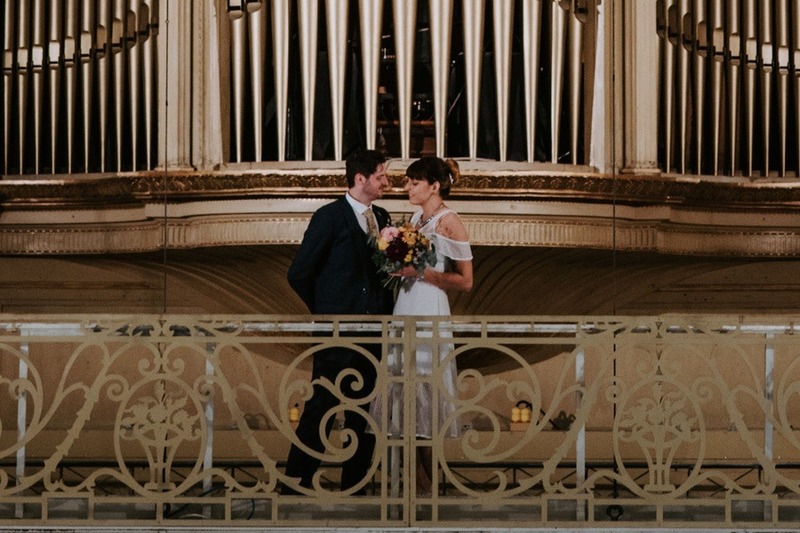 Though the organ is not technically open for private events, Emily and John found the right person to connect with and were granted permission for an intimate ceremony right in front of the pipes. 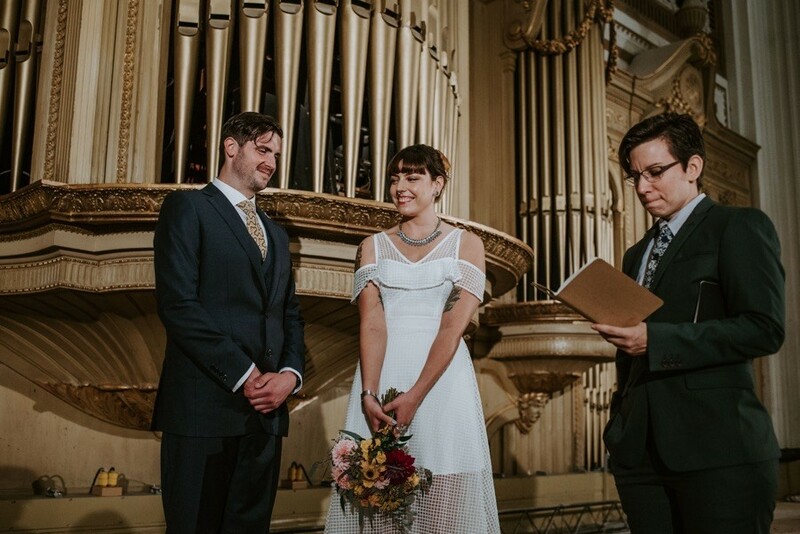 To everyone’s surprise, after a close friend of Emily’s pronounced them husband and wife, ceremony organist Peter Conte burst into Mendelssohn’s “Wedding March” in lieu of the evening’s usual concert. 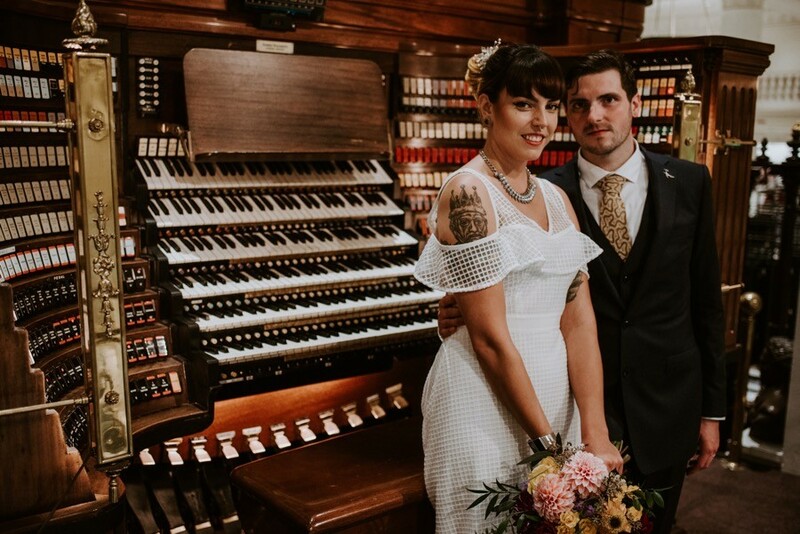 “Hearing that song played so wonderfully on the world’s largest pipe organ — and just for us — was overwhelmingly magical,” says Emily. 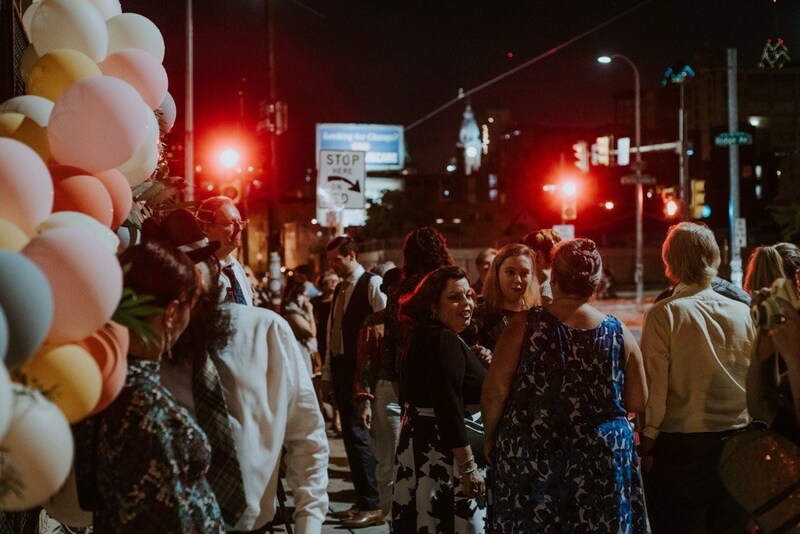 Two days later, the couple gathered eighty of their nearest and dearest for an “all-around party and generally freeform” reception at PhilaMOCA, an art space and performance venue just northwest of Chinatown. 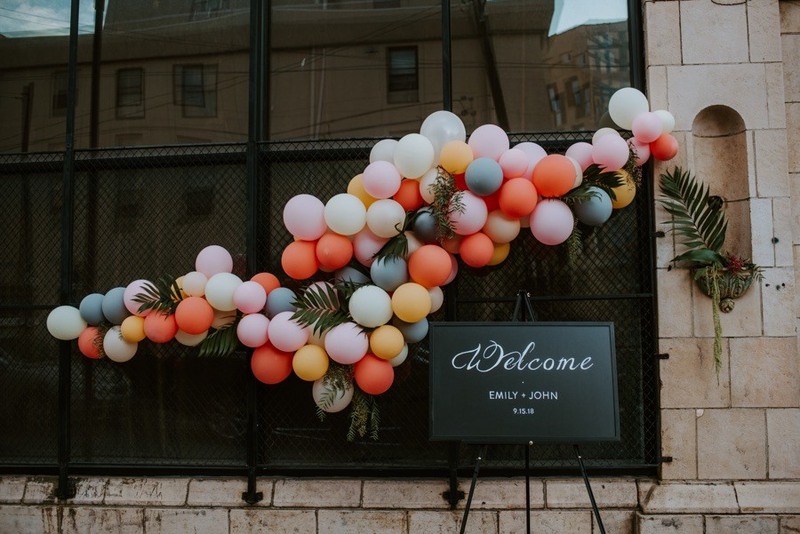 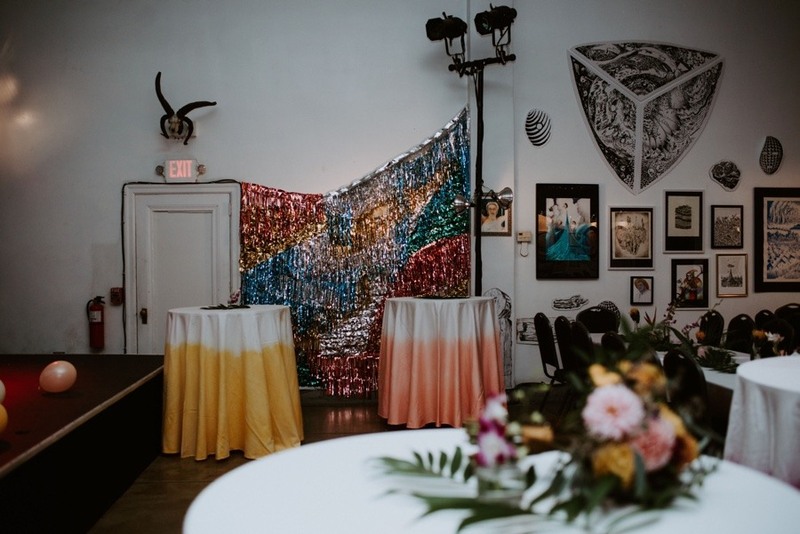 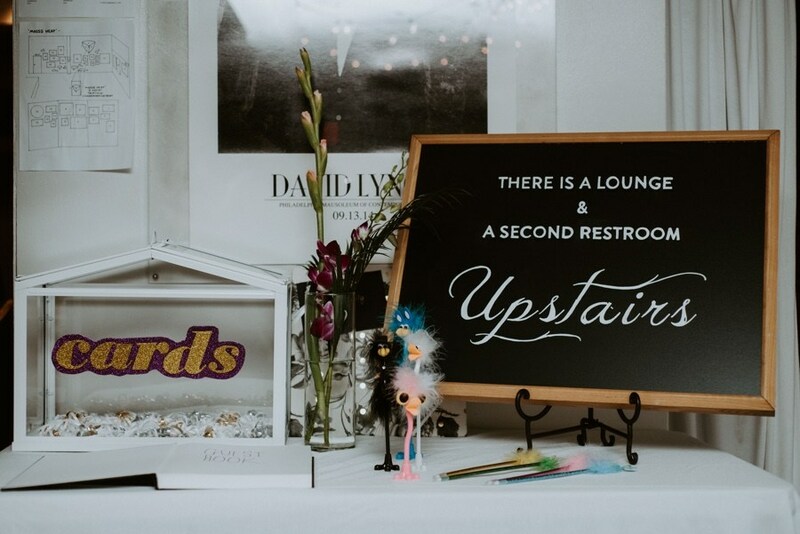 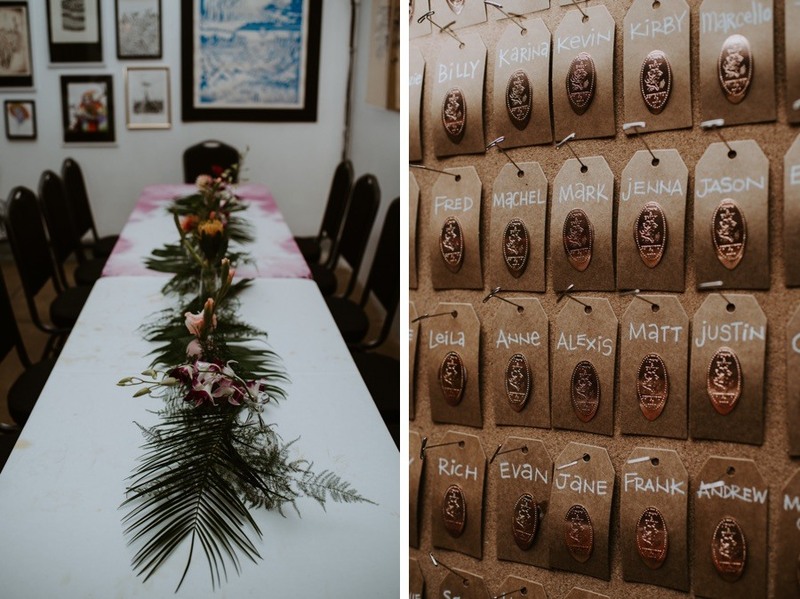 The celebration was a “polished DIY” affair, with good friend Jenna Robb taking on the bulk of the “tropical prom” themed florals and decor — and even tie-dying the tablecloths. 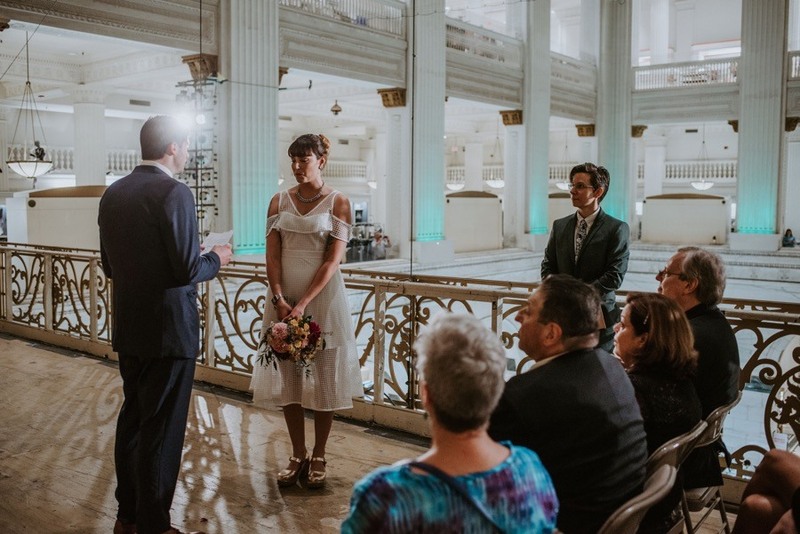 As the night went on, photos from throughout Emily and John’s relationship were projected behind the DJs, and, for favors, the couple handed out commemorative pressed pennys. 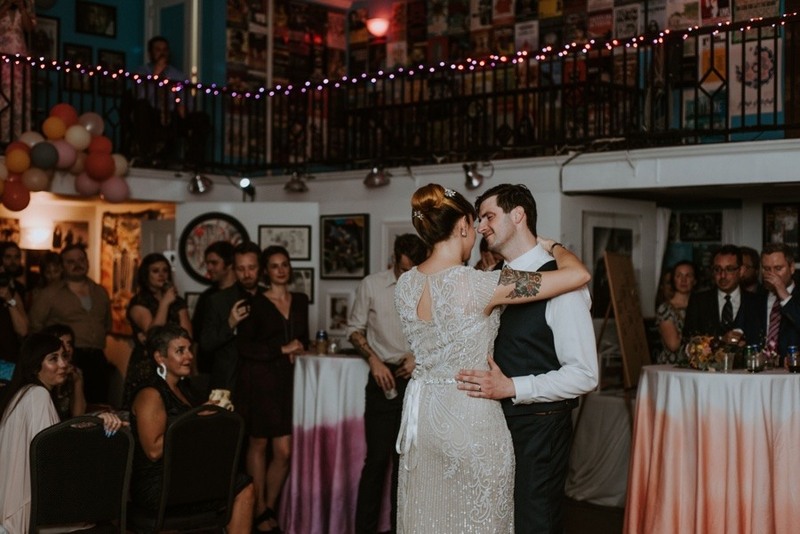 Emily and John chose “When You’re Gone” by The Cranberries for their first dance, and later honeymooned in Tulum. 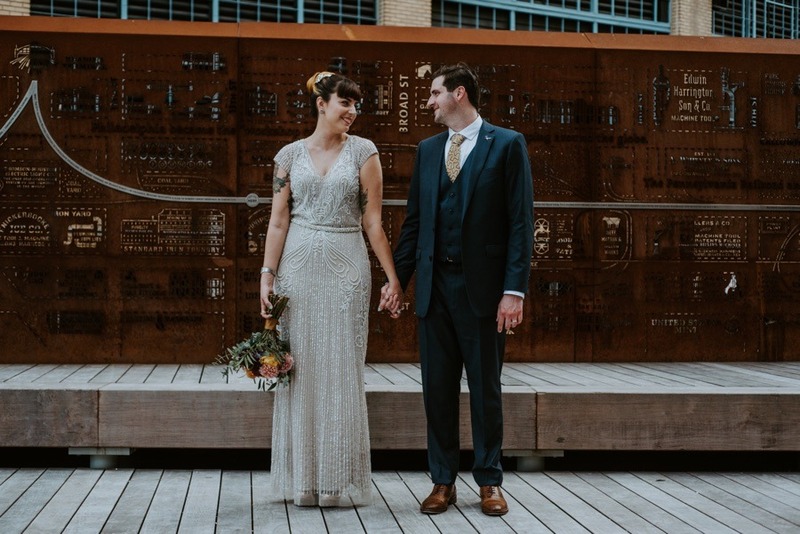 They still live in South Philly, where she works in interior design and restaurants, and he’s in tech support for the Temple library administration.